Your school will receive a fully managed and supported firewall that will work seamlessly with your existing embc broadband connection. This will help protect your site from malicious attacks over the internet and keep your staff and students safe online. A full Sophos Antivirus licence is provided to help protect your school’s machines and network against viruses, malware and unwanted applications across a wide range of platforms. Bespoke web filtering that is tailored to meet the specific needs of schools is included and available via IP address range, Per-user and Time-based filtering options. Your school is given control over its web filtering policies via a secure online management site with full support and additional eSafety guidance available from the LGfL TRUSTnet team. 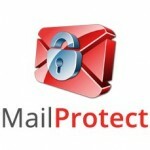 MailProtect email filtering will also protect your schools users and network from cyber threats and is applied to the email tools LGfL TRUSTnet provides or can alternatively be applied against a standalone school email system such as school-hosted Microsoft Exchange. 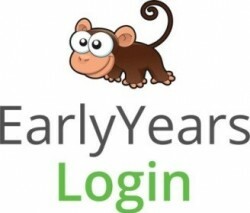 Every member of staff and every student are provided with a unique username and password that will securely grant access to all relevant LGfL TRUSTnet services and teaching and learning resources. 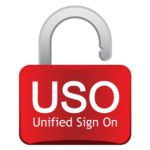 Known as Unified Sign On (USO) the service uses automated account administration via a secure link to your MIS with an additional option available to also extend these convenient and secure user credentials into your schools Active Directory. A range of reliable core communication tools are included for schools under the LGfL TRUSTnet package. 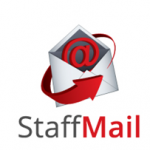 These include access to a highly resilient Microsoft Exchange email service for staff and secure integration with Office 365 email accounts, and its range of online Office applications, for pupils. Other services included to enhance your schools communication tools are a secure document exchange service that will give you the ability to send sensitive/secure information to one or more users in a secure manner. The LGfL TRUSTnet service also includes services that are designed to enhance schools engagement with parents. These include a free mobile app that parents can download and use to view school information such as term dates and training days etc. If your school has to close unexpectedly the included OpenCheck service gives you the ability to send a free message to parents with the mobile app to advise them of the closure as well as making this information available online and via a dedicated telephone number. Not only will the LGfL TRUSTnet range of services and resources save you money but via the use of the DfE approved Free School Meal Eligibility Checker it can actually increase the number of claims you can make for additional funding linked to Free School Meals such as Pupil Premium. The service is designed to remove the stigma sometimes associated with such claims and encourage greater parental participation. LGfL TRUSTnet not only provides your school with comprehensive school-focused services but also access to a wide and growing range of high quality digital teaching and learning resources. These resources are available for use both in and away from school and range across all curriculum areas and key stages. They are also conveniently mapped against the revised National Curriculum to make lesson planning simpler and available at the click of a button via the myUSO personalised application launcher. 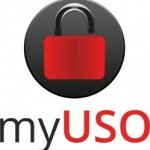 The myUSO service also gives your school 500GB of storage space across its myDrive secure file storage and sharing service. Some other key services that LGfL TRUSTnet will give you access to include secure and resilient web hosting for your school website, remote access tools that allow staff to work securely from home when necessary and high definition video conferencing software. Everything comes with access to a dedicated UK-based helpdesk and online schools support website that contains administration settings for many of the services as well as access to training materials and user guides. There is no set up charge for a 3 year contract. Connectivity charges are not included in the above prices. Connectivity will continue to be provided in the most part by KCOM and the service package will operate over the embc network through a specially commissioned link. 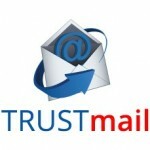 Services are as described in the 16 page TRUSTnet brochure – full list at http://www.trustnet.pro/(excluding connectivity). Please also read the embc / TRUSTnet welcome guide. No need to change internal emPSN 10.x.y.z IP addresses.